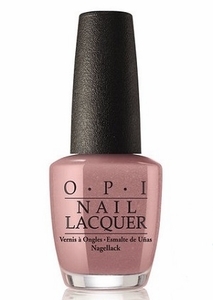 OPI Nail Polish, Reykjavik Has All The Hot Spots, NLI63, .50 fl. oz. Metallic dusty rose mauve shimmer nail color.